And the Father Himself, who sent Me, has testified of Me. You have neither heard His voice at any time, nor seen His form. 38 But you do not have His word abiding in you, because whom He sent, Him you do not believe. 39 You search the Scriptures, for in them you think you have eternal life; and these are they which testify of Me. 40 But you are not willing to come to Me that you may have life. As believers we tend to approach God in two different ways, one being through the understanding of scripture and the other being through encounters with Him. Both are extremely important in our walk in Him, both, when used together, cause us to grow up into a greater understanding of who He is and through that an understanding of whom we are. However, when we rely on one over the other or even one and excluding the other, we tend to slowly drift into deception giving way to being influenced and our lives being molded by someone or something other than God. When I first came to the lord it was through a supernatural encounter where I heard His audible voice calling me to follow Him. Before that my knowledge of God or even about Him was extremely limited. I did not know Him. After that initial encounter with God I was overwhelmed by a hunger to know God more. That one encounter initiated years of a steady stream of encounters with Him where He taught me who He was. We developed a close relationship and I knew who He was and what He was like. It’s no different than how a man who has been married to his wife for many years knows her. If someone told me that they saw my wife Kate yelling at someone and “telling them off” then I would know they were wrong. I know my wife, I know her personality and how she acts, I know that is not her. I have developed an understanding of who she is from the time we have spent together (almost 24/7) over our almost 23 years of marriage. In the same way as I got to know Kate, I got to know my Heavenly Father through the time we spent together; but initially I still didn’t know much about what scripture said about Him. I know a man who when he received Jesus as savior started devouring scripture. He didn’t just memorize certain scriptures but entire sections of the Bible. It seemed as if he could quote more scriptures from memory than I had ever read. (Not really but it seemed like that at times) He could not only quote scripture but also expound on the meaning of the Greek and Hebrew words that they were translated from. 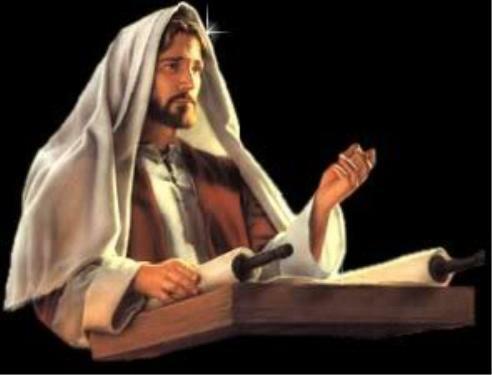 This guy not only knew his scripture but he was constantly seeking more knowledge. He would learn this teaching and that teaching from one person then could explain and expound on those teachings almost as well as the ones he learned them from. He knew from scripture and other teachers just about as much as a person can learn about God, but He had never had a supernatural encounter with the person of God. So why am I writing this? Because I see most Christians following one of these paths but not both and there is great danger in that. To only rely on experiences or encounters without basing them on scripture leads to being deceived. Not every supernatural encounter is God; Satan is spirit and can also cause spiritual encounters. Even if the encounter is from God, everything seen or heard must be interpreted. In other words, you may see correctly but have the wrong interpretation. Unless you have an understanding of what scripture says, you will not have any foundation on which to base your encounter and interpretation of that encounter on. People who base their relationship with God solely on knowledge of scripture tend to be very harsh and argumentative. (Not saying they are all that way) They are continually seeking more knowledge because they think it is in that knowledge that they will know Christ. You can study scripture all day long but without that relationship with the person of the Holy Spirit there will be no life in those scriptures, just knowledge that leads to pride in what you know instead of who you know. As believers we are to use both. Christianity is not a religion that is to be based on rules and procedures; it is a relationship. The purpose of Christianity is to have a real tangible relationship with God through Holy Spirit and then evaluate everything you hear, see, smell, and taste in that relationship through scripture. It was during the first months of my relationship with Holy Spirit that I began to understand who God was, learning His ways and His nature; I got to know Him. Then as time went on He began to lead me to scripture, before that I only wanted to spend time in His presence; I didn’t want to read anything. I gained a hunger for scripture and began reading 4-5 hours a day, and it was in scripture that I saw the One who had captured my heart. He gave life to those scriptures and He would use them to guide me, verifying where I was right and correcting me where I was wrong. The scripture didn’t initiate anything in this relationship, Holy Spirit initiated everything and scripture was just a tool He used; a very important tool, but still just a tool. Scripture was there to confirm what He was teaching me or correct me where I was misunderstanding; it was there for me to confirm what I knew about Him, it was not Him. Scripture alone will not develop intimacy with Him, it only tells about Him. To know Him intimately you must experience Him for yourself.